Much of the furniture we sell is hand-finished in our own workshops, which allows us to offer a bespoke colour matching and polishing service, where any new pieces can be accurately matched to your existing furniture, often at no extra cost. Our cabinetmakers are also able to alter pieces to fit your individual requirements and ensure a perfect fit for your tv, hi-fi, video, computer etc. 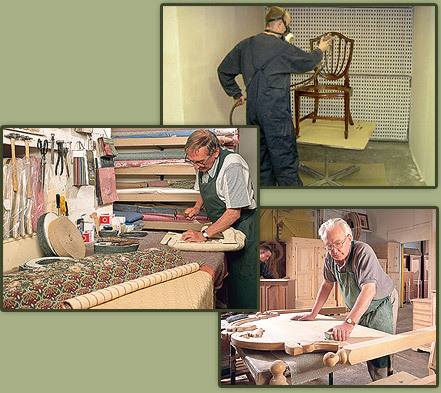 We also provide a full repair, re-polishing and re-upholstery service (except 3 piece suites), so you can rest safe in the knowledge that if you have a problem with your furniture both old and new, we have an after-sales service second to none.